The George Eastman Museum will present the 3rd Nitrate Picture Show on May 5–7, 2017, at the Dryden Theatre in Rochester, NY. The schedule for this year’s festival includes ten programs of feature-length and short films from twelve international archives and collections. The titles in this year’s lineup—which have collectively won five Academy Awards—will be revealed at 9 a.m. on Friday, May 5. Hundreds of passholders will be heading to Rochester next week from 17 different countries outside of the United States to experience the Nitrate Picture Show. The Dryden Theatre is one of four theaters in the United States, and the only one outside of California, that is able to screen nitrate prints. “Seeing nitrate projected is such a rare and transformative experience—and especially seeing classics like Casablanca, Laura, and Black Narcissus in their original release prints, as we have programmed past two years—that people travel hundreds or even thousands of miles to be a part of it,” said Jared Case, Festival Director. 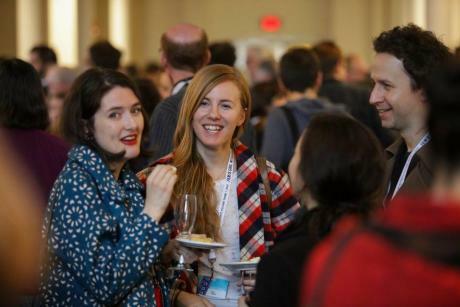 A festival pass, which can be purchased at eastman.org/nps, entitles participants to three days of film screenings, talks, and demonstrations, as well as a reception on Saturday night and museum admission throughout the festival weekend. Plus, new this year, festival passholders will have the extremely rare opportunity to see a 1905 35mm film projector in action. The featured speakers for the 3rd Nitrate Picture Show are Hisashi Okajima, chief curator of the National Film Center in Tokyo and Alexander Horwath, director of the Österreichisches Filmmuseum (Austrian Film Museum). Okajima is one of the most eminent personalities in the field of film preservation and curatorship and is a prominent advocate of the cinematic experience in its original medium and formats. Okajima’s talk will be held at 3 p.m. on Friday, May 5. Horwath, one of the most inspired voices in the museography of cinema, will speak on Saturday, May 6 at 3 p.m. He has worked internationally as a curator of exhibitions, film retrospectives, and festivals; as a lecturer on film at universities and cultural institutions; as a consultant and jury member at film festivals; and as a member of film subsidy boards. Both talks will be held in the Dryden Theatre, and are included with the festival pass. Beginning at 9 a.m. on Friday, May 5, single-screening tickets will be available first come, first served at the Dryden Theatre box office. The 3rd Nitrate Picture Show is supported in part by the County of Monroe, Kodak, the Lipson Visiting Artist Fund, and Scott O. Harbert. 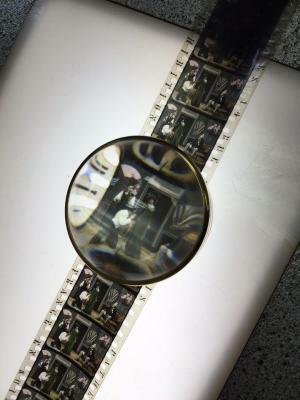 The George Eastman Museum holds one of the largest collections of nitrate prints in the United States, preserved at the Louis B. Mayer Conservation Center, a state-of-the-art facility located 12 miles southwest of Rochester. 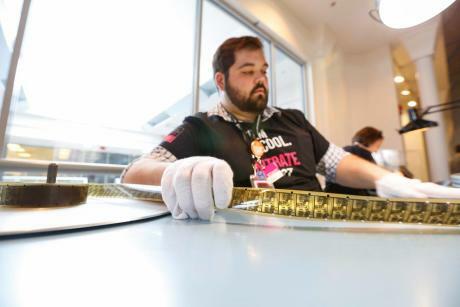 The museum’s collection of more than 6,000 nitrate titles covers the history of cinema made during the nitrate era, from Edison and the Lumière brothers to the final studio productions filmed on the illustrious celluloid. 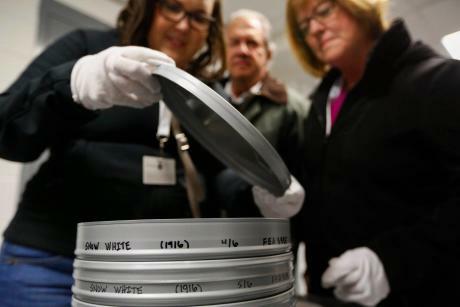 The Eastman Museum is a member of the International Federation of Film Archives (FIAF), the world’s leading group in the field of film conservation and preservation. Founded in 1947, the George Eastman Museum is the world’s oldest photography museum and one of the largest film archives in the United States, located on the historic Rochester estate of entrepreneur and philanthropist George Eastman, the pioneer of popular photography. Its holdings comprise more than 400,000 photographs, 28,000 motion picture films, the world’s preeminent collection of photographic and cinematographic technology, one of the leading libraries of books related to photography and cinema, and extensive holdings of documents and other objects related to George Eastman. 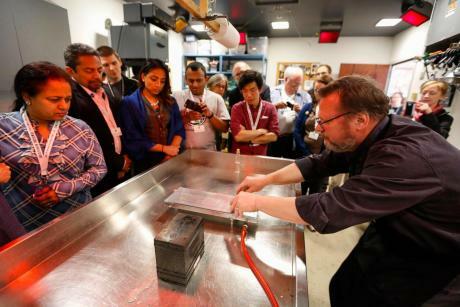 As a research and teaching institution, the Eastman Museum has an active publishing program and, through its two joint master’s degree programs with the University of Rochester, makes critical contributions to film preservation and to photographic preservation and collections management. For more information, visit eastman.org.